The TX-26X10B HD Ready panel is not exactly the most attractive one around, but it does boast the piano black frame that's so popular on current TV ranges, along with the manufacturer's reassuringly sturdy build quality. 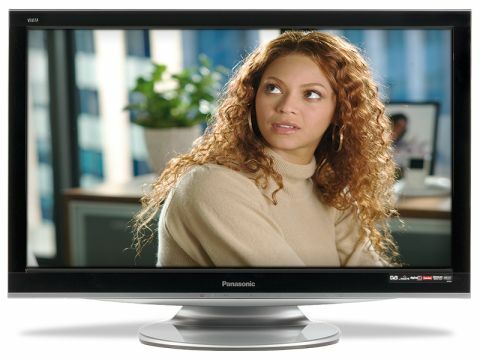 And while this model lacks most of the features found on Panasonic's more highly specified versions, it certainly offers some very strong selling points. The dynamic contrast system automatically adjusts the panel's backlight to suit the picture, for maximum energy efficiency. And on the subject of carbon footprint, the set also has an eco mode for reducing energy consumption. Pictures are very impressive indeed, with normally grubby Freeview broadcasts appearing detailed and clear. With HD playback, pictures are pin-sharp and almost, but not quite, entirely free from motion judder. Whites are pleasingly pure while black levels are far better than you'd expect from a screen of this size. They're not without fault, though, as some of the darker areas suffer from a slightly greyed-out look. The sound from the speaker strip beneath the screen is more than adequate for day-to-day viewing and also deals surprisingly well with the more challenging soundtracks on DVDs. Indeed, the audio capability far outstrips that of most similarly sized rivals. While not the cheapest 26-incher, the extra cash buys you some of the best pictures around. A great choice as a second room TV.